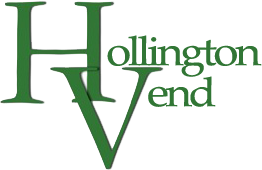 Hollington Vend is a premier provider of vending services that has been a part of the Coastal Georgia Business Community since 1956. We operate in Coastal Georgia from Camden through Effingham counties, and in Wayne County. We provide our services to offices, factories, retail businesses. In addition we also work with healthcare, education, and the tourism industries. We would love to have the opportunity to earn your business. We provide snacks, cold and hot drinks, and food through vending machines. We have a wide array of name brand products available. We work hard to keep up with changes in consumer demands for products. One example of this is our “healthier choice” line of products. Designed specifically for the customers who require healthier options in their snacks and drinks. We also have the most complete offering of drink products available. As is the case with most other industries, technology dominates the vending industry. From more energy efficient machines to more interactive experiences for the customer, vending has come quickly into the 21st century in order to meet customer expectations. We are paving the way to make the best use of this new technology to create the best customer experience possible. In addition to product and technology improvements, we also provide the best service of any vendor you will find. Our business is still first and foremost a service-oriented business. There is absolutely no substitute for highly qualified and experienced professionals who work hard to earn your business every day. We have the best employees providing the best products through the best equipment available. We also provide coffee and water services in non-vending environments such as offices. Contact us today for your customized vending proposal! We love hearing from our customers. If you’ve worked with our experts, share your experience so we can continue serving our customers in Coastal Georgia in the best way possible! No matter what your vending service needs are, the experts at Hollington Vend are here to help keep your place of business fully stocked. Call today to get started creating your custom vending plan.